After moving to Australia in 2009, Lopez noticed an increasing interest in Mexican cuisine but recognised a gap in the market — access to authentic corn tortillas made using the ancient nixtamal technique was limited. Five years after opening La Tortilleria with co-founder Diana Hull, Lopez is proud of what the business has achieved; from a neighbourhood Mexican bakery La Tortilleria has become one of the leading suppliers of authentic corn tortillas throughout Australia and the Asia-Pacific. “It means a lot to me to see how much Australians love our tortillas,” says Lopez. “We are bringing the taste of the villages to Mexico into the kitchens of Australian families. 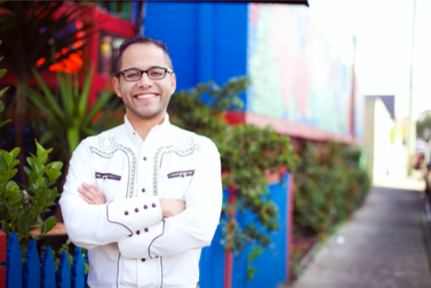 “Our dream of changing the face of Mexican food in Australia has directly impacted the lives of many Mexicans in Australian — those who miss home and now can have a tortilla that tastes like Mexico — and this is a recognition of the journey we have gone through to make it happen,” Lopez told Hospitality. 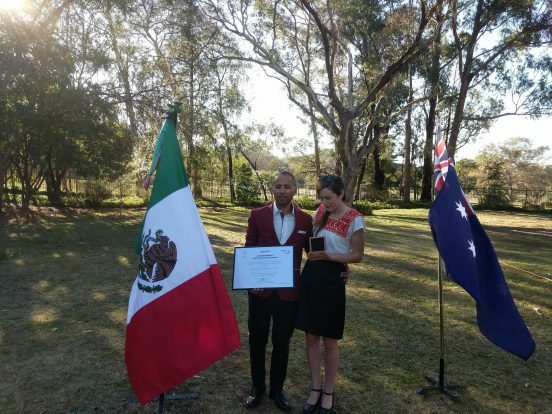 “This is a journey that started with an idea of bringing authentic Mexican food to Australia and today the Mexican Government is recognising the contribution La Tortilleria has made to enhance the name of Mexico and its gastronomy. More than a recognition it is a confirmation that we are on the right path and have a responsibility to continue bringing this change. The recognition comes just in time for Mexican Independence day, celebrated on 16 September, with La Tortilleria’s restaurant putting on a fiesta with music, traditional street tacos and tequila specials.